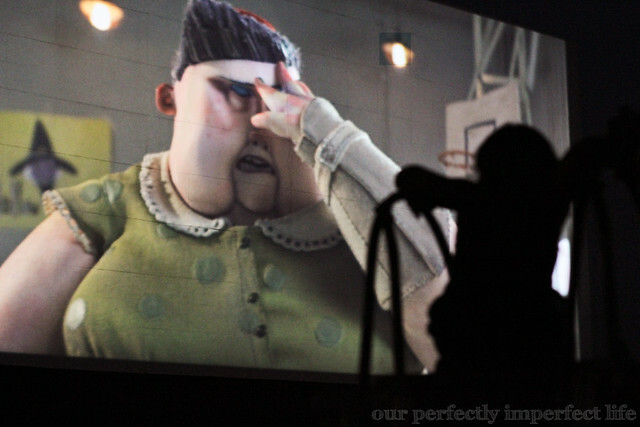 our perfectly imperfect life: School is here. Summer is over. Something about starting a new school year gets me on my game. It is like a fresh start to get my crap together. School supplies have been delivered, paperwork is complete, backpacks are packed, lunches are made, outfits are laid out and the kids are tucked into bed. Let me have my moment to gloat... I am never this prepared... ever. Pretty much usually a hot mess, flying by the seat of my pants. First day jitters are pretty much over the girls' heads... they leave that to their momma. Sigh. Mason is less than thrilled to go back to school, but is excited that his buddy from baseball is in his class... gives him something to look forward to and something to calm any nerves he might have. Enjoying our last week of summer... Rambo joined us. The night before school is exciting and fun. There are always so many things to be done. Your clothes are ready, your backpack is too. Your classroom is full of fun things you will do. Lots of questions go through your mind, all types of thoughts of every kind. So I've made this magic confetti for you, full of promises for the whole year through. On Monday night when you lay down your head, just sprinkle some under your pillow in bed. The confetti will help you sleep through the night, and wake up in the morning fresh and bright. I'll sprinkle the confetti under my pillow, too. Because I am so super excited to see you! And yep, we sprinkled the confetti. 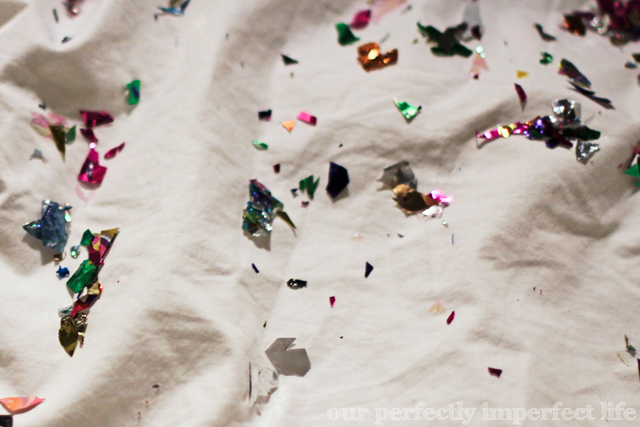 Maybe I should put some confetti under my pillow... it will make me sleep tonight, right? Praying everything goes well tomorrow... I can't believe Nika is starting kindergarten. Now I will have all day to relax get this house ready for some more babies. The drive in. 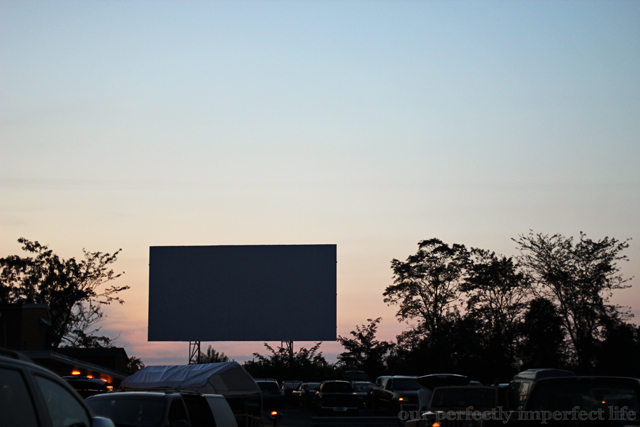 We had to drive an hour to get there and didn't get home until 1:00am, but is the drive in not a completely nostalgic thing you must share with your children? I reckon. Gotta say... I was pretty impressed with this place, old or not. There was a huge grassy area in front of the screen for the kids to play... and there was a playground right there. We pulled in, pulled out our chairs and the kids could play. Payton sitting on the top of the slide watching the movie. I had to share a memory of mine with my kids that night... ahem. When my sister and I were younger, my parents told us we were going to the drive in one night. We were seriously ecstatic... like, pajamas on, pillows and blankets packed, popcorn and candy set, all piled in the car. So we drive around a bit... and we eventually drive in to our driveway, at which point our parents announce we had arrived... as they flashed the movie they had rented at us. I'm not still bitter. Not at all. It is hard to believe that summer is over... too many things on the summer bucket list did not get done. Clearly I had too many things on that list, because I feel like we never sat still. Now... I'm so ready for fall and colder weather. ps... I started feeling the babies move this week... eek! I have great mores of family night at the Drive in. Time to find out if there s one around where we live. good luck with more time to you, the first days is like are ethernal but within.weeks seems like hours goes so.fast sigh.